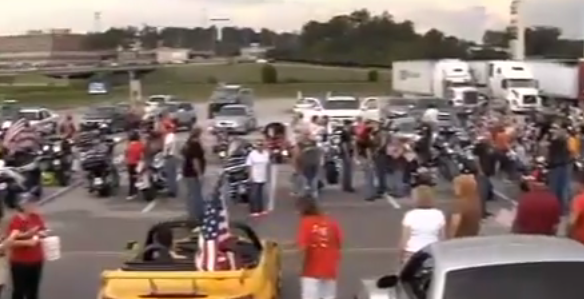 Kevin Matthews took to Facebook asking that Bikers ride in solidarity out of respect for the fallen military servicemen, but even he had no idea how amazing the turnout would be! There is nothing more ‘feel good’ than when our bikers show support for our military. They rode alongside where 5 servicemen were killed without reason. Check out the video and hear from many of the bikers who took to the streets of Chattanooga to make a difference and show support!